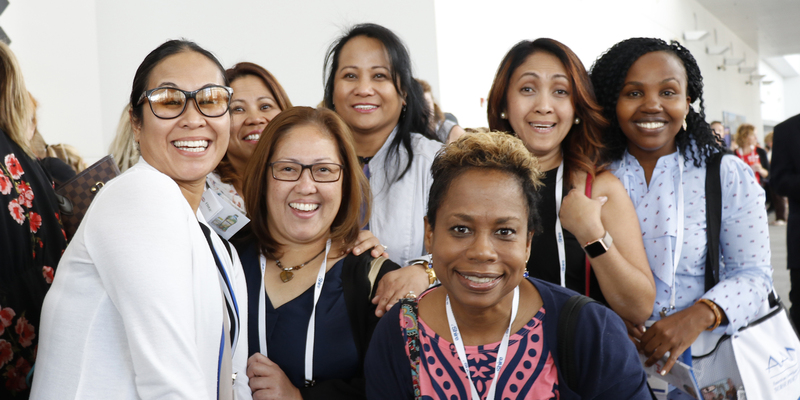 The American Association of Nurse Practitioners® (AANP) is committed to assisting multiple nurse practitioners (NPs) or nurses who work in an advanced role by providing funding to help them attend the 2019 AANP National Conference in Indianapolis June 18–23. Applicants must be from either a low to middle income country* or a country with an emerging NP or advanced practice role. AANP’s national conference is one of the most exciting, well-attended conferences in the world for NPs. With thousands of NPs attending and more than 400 educational sessions and workshops scheduled, there is something for every advanced practice nurse. Scholarships will include the cost of airfare (some restrictions apply), conference fees and lodging for selected applicants. Hotel reservations will cover shared (standard double bed) hotel accommodations for the nights of June 18–23, 2019. Scholarship recipients must attend the full conference, including selected meetings. Recipients will also be expected to reflect on and publish about their experience. The application period closed on March 1. Nurse practitioner or nurse working in an advanced role and residing and practicing in a low to middle income* country or a country with an emerging NP or advanced practice role. Current AANP member or willing to become a member at the time of scholarship award conferral. If not already a member, membership will be included in the scholarship. Lacking full or substantial funding to the conference available through other sources such as employment, government, or other organization sponsorship. Willing and able to attend all planned conference activities. Willing and able to write a short piece about the experience to help market future scholarships on the AANP website and through other media (such as AANP journals). Describe how information about the conference experience will be shared in the applicant’s home country, i.e., presentations, meetings, news releases, etc. *Low to middle income countries are defined as those with a low to middle gross national income (GNI) per capita as calculated by the World Bank. Review additional details.